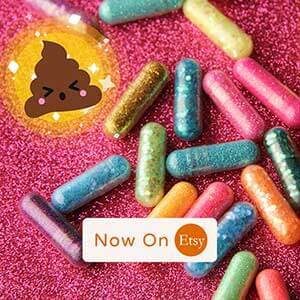 Fill Your Hearts and Bellies Rainbow Unicorn Food and Magical Desserts! As a child raised in Dubuque during the 80s, Luke Stoffel was often told by his mother to stay outside until he found his own version of fun. That, his mother Joyce says, pushed him to be inventive. Luke went on in his adult life to fill other peoples hearts and bellies with Rainbow Unicorn Food and Magic Desserts! 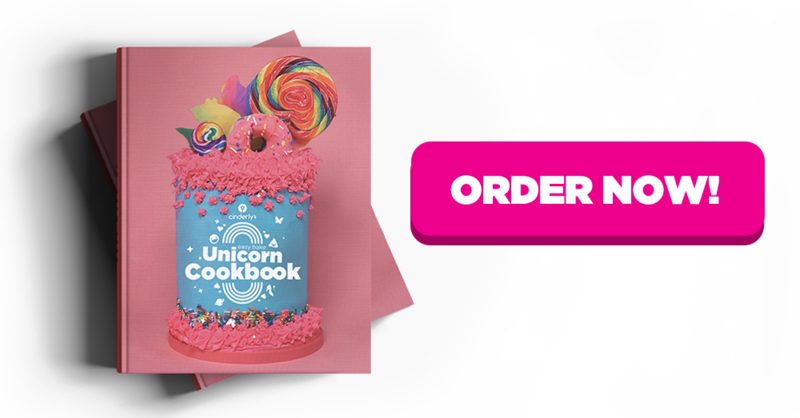 Check out the Unicorn Cookbook! “Allowing some of that to happen in kid’s life, their boredom will eventually work into creativity,” she explains. 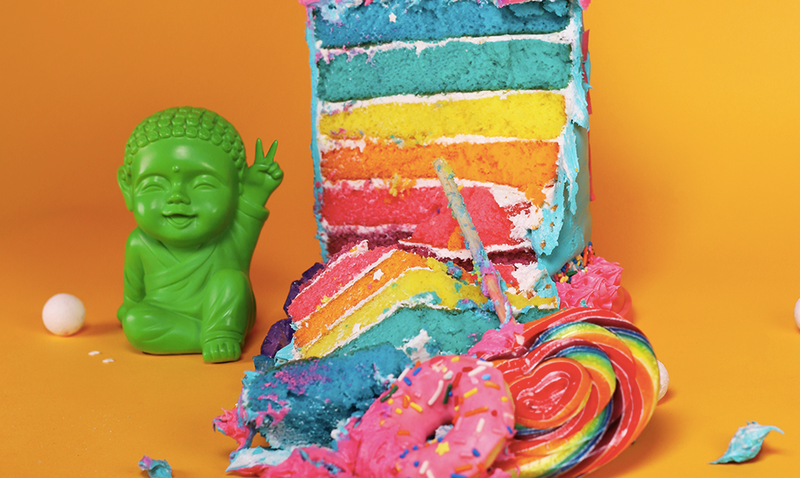 After Luke lost his job, he spent his 37th birthday making a rainbow cake with his mother and decided his next move would be to add more color to his life. 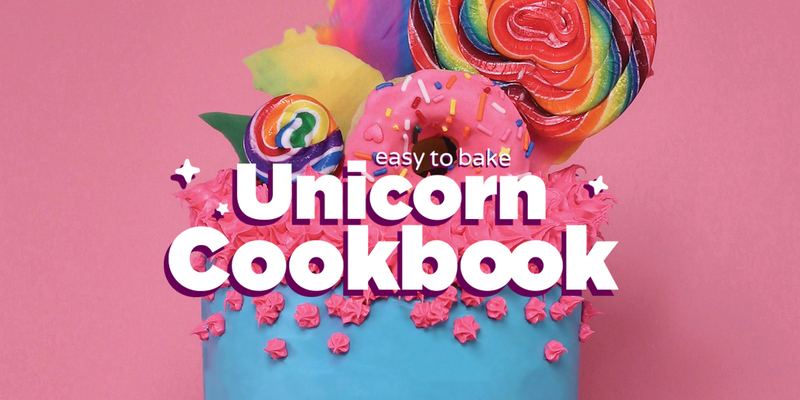 His latest venture is The Easy Bake Unicorn Cookbook, a collection chockful of glittery sugar-coated recipes. 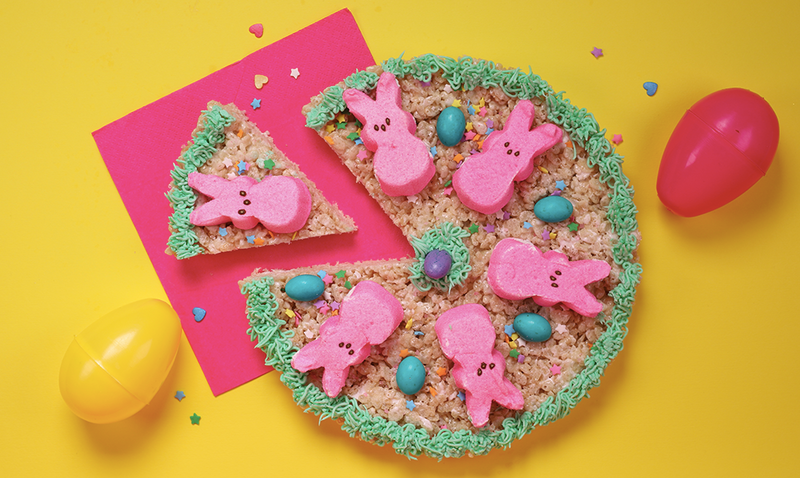 Desserts range from bright pink “slumber party popcorn balls” to “Peeps pizza,” a rice krispie treat topped with fluffy marshmallows. Another recipe, the North Pole Sundae – a hot fudge, peppermint ice cream and candy cane concoction – came out of Luke’s recollection of eating ice cream with his little sister in the middle of winter. Crucial to each recipe? Good company and plenty of love in the kitchen, even if the result is just a “beautiful mess,” Stoffel says. Its kickstarter campaign met its goal in eight days. Now, Luke’s startup Cinderly wants to open a pop-up store for the baked goods in New York City. Luke and Joyce chat with host Charity Nebbe on this segment of Talk of Iowa. Charity Nebbie: It’s Talk of Iowa from Iowa Public Radio. I’m Charity Nebbie. Today we’re going to start the hour on the other end of the rainbow with a unicorn baker. Luke Stoffel grew up in Dubuque, Iowa. He learned to bake from his grandma and his mom, and he lives in New York now, and is in the process of publishing his Easy Bake Unicorn Cookbook. He is here with me on the line. Hello, Luke. Luke Stoffel: Hey, how are you, Charity? Charity Nebbie: Good. Thank you so much for being here. Luke Stoffel: Good to talk to you. Charity Nebbie: And since so many of these recipes are family recipes, and your Mom gets a lot of attention in the book, we’ve asked her to join us as well. Joyce Stoffel is with us on the line. Hi, Joyce. Joyce Stoffel: Hi, Charity. Good to talk to you. Charity Nebbie: Yeah, thank you so much for being here. And Luke, why don’t you tell me how this idea started for you? Luke Stoffel: Really, it started, I was on a trip down to New Orleans and I was meeting with my cousin, and she was working as a sous chef in one of the big French patisseries down there. We were talking and she’s really like, “Oh, I love baking ever since we were baking with Grandma, blah blah blah …” And I’d always had this dream in the back of my head where I’d wanted to start a café. She was on that path, and I was like, “Well, what can I do in my life to maybe not start a café, but to recreate something of my childhood that will inspire others?” I had graphic design skills from my training at Iowa State, and so I started putting together a cookbook. Over the winter this year, I put together a rainbow-filled Unicorn Cookbook, so that’s how this started. Charity Nebbie: And you and your mom were baking a rainbow cake for your 37th birthday, and that was part of the inspiration as well, so tell me a little bit about that baking session. Luke Stoffel: True. The rainbow cake was the start of this whole unicorn feel. When me and my mom were going around on Pinterest during my 37th year of birth, I was home in Iowa for the summer, and we got this idea to put together this rainbow cake, so we got vanilla cake together and started dyeing it all kinds of rainbow colors, and together we came up with this beautiful rainbow cake that we cut and opened up. We still have pictures of it on our fridge back home and everything. Charity Nebbie: And so that was the start of this. Why unicorn, rainbow? Tell me what the root of these ideas is? Was this something that you loved to do when you were a kid? Luke Stoffel: Well, and my mom can attest to this, I’ve always been a rainbow-inspired kid. Even my little sister and I were doing rainbow ice cream when we were kids and all this stuff. She can confirm that the rainbow has always been a part of our lives, but unicorns are really on-trend right now, and I work in advertising in New York City. My whole start-up that I’ve created called Cinderly is really about inspiring unicorns and mermaids and these girls in the world that really relate to that stuff, so that’s where this all came together. Charity Nebbie: When you decided you wanted to put together this cookbook, you went back to your childhood and you went back to your mom. How did the two of you work together to come up with these recipes? Luke Stoffel: Really, when I was home for Christmas this year, I went into the kitchen with my mom and I was like, “I have this idea. I want to make all these rainbow desserts.” And we really dug through the cupboards and found my Grandma’s old recipe cards that we used as kids. I started taking photos of them on my iPhone and writing them down. They were scrapped together. They had ingredients, but no directions on how to mix the ingredients, so we came up together on how to complete these recipes and put them in the book. Charity Nebbie: And Joyce, why don’t you take me back to when Luke was little. Was baking together something that you guys enjoyed doing? Charity Nebbie: Very fancy, yes. Joyce Stoffel: … and we’d come home, and we’d roll out these sugar cookies. It didn’t matter whether it was a holiday or just a regular Sunday. I would say we made those things at least twice a month, if not more often. We’d spend a day doing that, and what I didn’t realize at that time was how we were actually building memories. I would’ve never expected Luke to someday, as a 40-year-old man, make a cookbook on recipes from his childhood, and yet I realize now that we really are building and bonding all the while you do that. Joyce Stoffel: I always say, there’s the old saying, you can take the boy out of the country, but with Luke’s case, you can’t take the Midwest out of Luke. Even though he’s lived in New York City since 9/11 or just before, it has remained very solid in him, and when I seen his idea for the cookbook and his memories from his childhood, that just cemented that idea in me like in this cookbook. We’re doing more than baking and cooking together. We’re forming a lifetime of memories. That’s how I see it, and I didn’t realize I was doing that. That’s the neat reward to all this to me. Charity Nebbie: Absolutely. And you share, Luke, the recipe for those sugar cookies in your cookbook. Tell me what you remember about those sugar cookies from your childhood? Luke Stoffel: For me, it was really about, yes it was my grandma’s sugar cookie recipes, but what I talk about in the book is, my grandma had these very specific cookie cutters of ducks and things like that, and we’ve passed those cookie cutters along. Some live in my kitchen, some live in my mom’s kitchen, some live in my little sister’s kitchen, so I really used that as a touchpoint to my grandma. It really hits home every time I make sugar cookies with these cookie cutters, so in the cookbook, we do these dinosaur/animal cracker cookie cutters. I write in the book, “I can’t wait to pass these down to generations of my own.” My grandma had ducks and farm animals, and I have Jurassic Park cookie cutters. 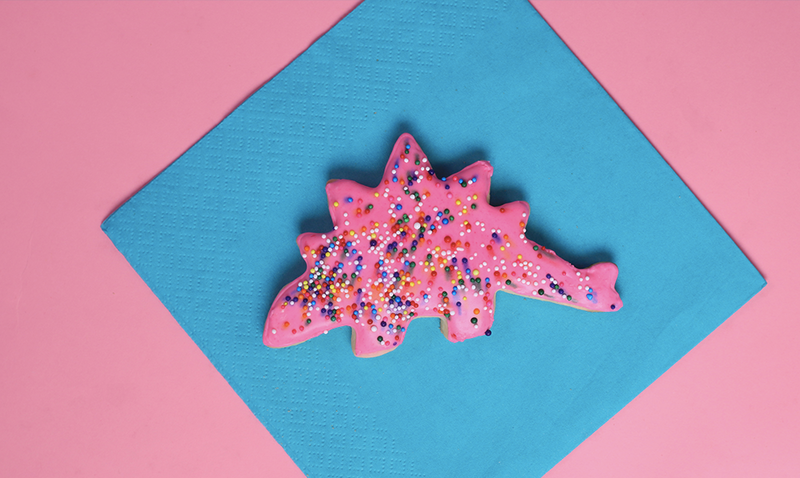 We renamed the sugar cookies Jurassic sugar cookies, and that’s what’s going on there. We’re trying to evolve the memories to a new place as well. Charity Nebbie: I was looking at that sugar cookie recipe, and Joyce, one of the things that I notice is that it has a mixture of butter and vegetable shortening in the recipe, which makes it a little more forgiving, doesn’t it? Is it a little bit of form over taste almost there? Luke Stoffel: It was a big dilemma. Oh sorry, keep going Mom. Joyce Stoffel: Oh, oh. When Luke talked about the cookie cutters, I’m sitting here holding the rabbit and the chicken right now. My mom was born in 1915. She’d be 103 this year, and it’s just so neat to be able to talk about her still at this time and how this sugar cookie thing has passed on, as well as the other baking through the years. That’s neat that we can carry that on as others can. Charity Nebbie: Right, and make those same shapes, use those same cookie cutters. What did you want to add, Luke? Luke Stoffel: I was just saying, on Facebook we had quite a dilemma, because I was like, “Should I add more butter to these? Is it Crisco? Is it vegetable shortening?” The original recipe really used a lot of vegetable shortening and lard and Crisco, and so there was this whole debate on Facebook over, “Should I change the original recipes or should I morph them into more things,” and we decided to just stick as they are. Charity Nebbie: Absolutely. 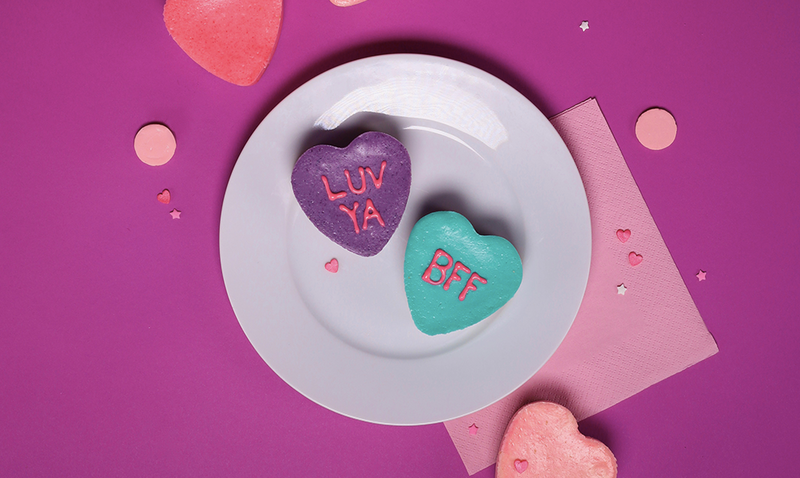 And you guys, you’re obviously sugar cookie experts. I will admit that I am pretty terrible at sugar cookies. I’m not a patient cook or a baker. I like to do things that don’t take a lot of time, so sugar cookies are maddening to me when I have to roll them out and cut them out. Do you have any secrets to make them turn out? What’s the number one thing you need to think about? Luke Stoffel: For me, what I learned is it’s all about how thick you make it, and so what I use is I use two paint sticks on either side of the thing and wax paper on the bottom, and I roll the dough out between the two paint sticks so I get an even thickness throughout the whole sheet. Then I can cut them, and they all retain the same thickness and bake the same way. That’s what I do. Charity Nebbie: I need help imagining this. You hold them in the air? of the dough, so there’s two paint sticks on one side and two paint sticks on the other, and then I take the rolling pin and roll it over the two paint sticks and the dough, so the paint sticks keep it just off the countertops, and so then I create an even thickness all throughout the cookie dough. Charity Nebbie: Okay, that’s a nice secret. Did you come up with that yourself, or Joyce, did you come up with that? Joyce Stoffel: No. In fact, I didn’t know that. Mine have varied thicknesses, so I learned a new technique myself. Charity Nebbie: Nice, nice. It’s good to know that the recipes and the techniques continue to evolve. Luke, with all of the recipes that you included in the cookbook, you included some stories about your childhood growing up in Iowa, and some of the recipes are really easy and some of the recipes are funny. You have your dirt worm pudding recipe, which your picture is really cute in a sand castle building bucket full of pudding and Oreo cookie dirt and gummy worms and that kind of thing. When you went back to the stories, you talk about digging for worms in the garden so your dad would have bait to go catfishing in the Mississippi. What kind of process did you go through to decide what stories you wanted to share? Luke Stoffel: Gosh, I don’t even know how it happened, but after we shot the whole thing, I just sat down and memories started flooding out of me. The digging for dirt worms was a really good example of, I remember me and my sister constantly during the summers would dye our spaghetti red and blue, and try to convince the neighbors we were eating worms as real live things, and I think the stories just flooded out of me. Some of them are recent. A lot of them harken back to the 80s, but it really was a natural connection. Luke Stoffel: When I started baking and thinking about, again, all this time in the kitchen with my mom and my little sister, it really lent itself really well to all these Iowa stories, because that’s where this all started. I couldn’t write this cookbook about New York City, because my roots aren’t here. It had to be about Iowa. Charity Nebbie: We’re talking about different kinds of hearts and flowers and rainbows and unicorns and mermaids with Luke Stoffel, who grew up in Dubuque, Iowa. He is the publisher and the author of the Easy Bake Unicorn Cookbook. His mother Joyce Stoffel is also here with me, and just before the break Joyce, I was asking Luke about the stories that he decided to share about his childhood in the book. What was that like for you to read those stories? Joyce Stoffel: Well, I was surprised at the stories, and it took me back there too, because it’s like, “My gosh, he remembered those things or that?” And it helped me to remember them also. I was surprised, again, at how much of a memory he had of his childhood. I was just sitting here, and I always think, what are you going to leave for your children as a legacy? To me, what you pass on is your stories of your life, and so in these recipes, in the things that he did, he is re-passing my life on to me also, and what was really important when you’re raising a family is the simple things of life that you do, and that was a simple thing we’d done. We just bake cookies. Sometimes we over-complicate life, and I think it’s really as witnessed in my reading his stories, it’s the simple things that we did that made up who you are today, and to me that’s important. Joyce Stoffel: And that’s what most people want. Joyce Stoffel: Right, right. And I think allowing some of that to happen in kids’s lives, their boredom will eventually work into creativity, and Luke had a lot of creativity. I’ve got two engineers in the family, I’ve got this artist. I’ve got two artists in the family, Luke and his sister, and there’s just a thread that runs through all of that that comes out today in who they are as people. Our daughter Heidi is in Des Moines, Iowa, and I think she’s been on NPR too. She started a clinic there for kids with dyslexia, and it’s just interesting how what comes out of basically just our own dreams for our children and their creativity is wonderful. 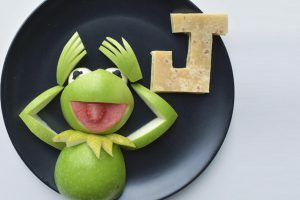 Charity Nebbie: Luke, in sharing these recipes and sharing stories about growing up in Iowa, are you worried at all about narrowing the appeal of the book when you think about your New York friends, or is that part of the appeal? Luke Stoffel: I think it actually became part of the appeal. I didn’t worry too much about narrowing it, because they all retained this really 80s nostalgia. I talk about Trapper Keepers and Lisa Frank and Rainbow Brite, and how that all inspired me, so mothers in my age group, which is 35-45, are the people who are buying this, and they really relate to these stories, because these are the memories we all grew up with during that period. I didn’t really worry about alienating everybody. I really thought that I did a good job at keeping it centered into a time as well, so yeah, I think everybody will enjoy it. I think the stories actually make the book. Charity Nebbie: As I mentioned in the title, Easy Bake Unicorn Cookbook, you share some great family recipes in here, but you also come up with ways to simplify all of those recipes, if you just want to make something that looks adorable, but you don’t actually want to try baking a cake from scratch. Why did you decide that you wanted to simplify things? 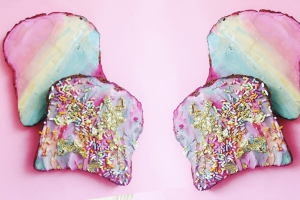 Luke Stoffel: A lot of the trouble with baking is it becomes really hard, it becomes really complicated, so we tried to really offer easy solutions, so that if you just wanted to make a beautiful rainbow cake, that we gave you easy ways to do it. 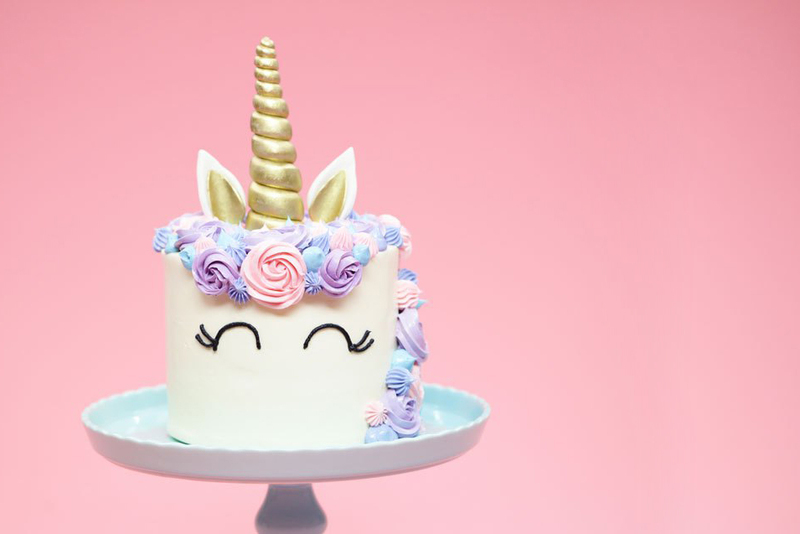 A lot of the things just have an offshoot for you to go to the grocery store, like Hy-Vee or something like that, and pick up the cake mix, but still make it unicorn-style. We really used a lot of those easy options to help kids today maybe not spend hours in the kitchen, but just spend less time, so that was important to us, because cookbooks today are complicated, and it’s hard to get that all done. A lot of the cookbooks that are even out there now are complicated, so it was really important for us to make them easy. Charity Nebbie: And some of the recipes that you share are not necessarily recipes that you made with your grandmother, that you made with your mom, but recipes that do evoke your childhood memories. I’m also a child of Iowa, and one of them was a North Pole sundae, which is a recreation of a sundae that was sold during December at Happy Joe’s. Luke Stoffel: Yeah, totally. And I say in that story, I say in that story that me and my sister would eat more ice cream in December and January than we would eat all summer, because we loved that North Pole sundae. It was really important for me to have that in my cookbook, or a rendition of it, because I don’t know what Happy Joe’s really used, but I had a good inkling and so that was really important for me to get that one in there. Charity Nebbie: Describe the North Pole sundae for those who did not get to go to Happy Joe’s in December and January. Charity Nebbie: Did you have to do a lot of research? 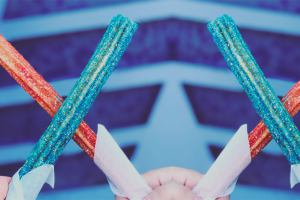 Did you have to try a lot of different versions of that before you got it just right? Luke Stoffel: No, because I had been making it for a couple years, because I’m in New York. I remake it here every winter and eat it on my own, so I knew exactly how I wanted it to taste. Charity Nebbie: Right. You were ready. You’ve never been readier for anything than that. Luke Stoffel: I’d never been readier. Charity Nebbie: Tell me why you think that’s important for people to know. When you look at all these perfect pictures and beautiful recipes, and you spend all that time on Pinterest looking at things that look amazing, but are so hard to recreate, why did you want to share that it was a beautiful mess? Luke Stoffel: The beautiful mess really stems out of the whole Easy Bake idea. Baking should be fun. 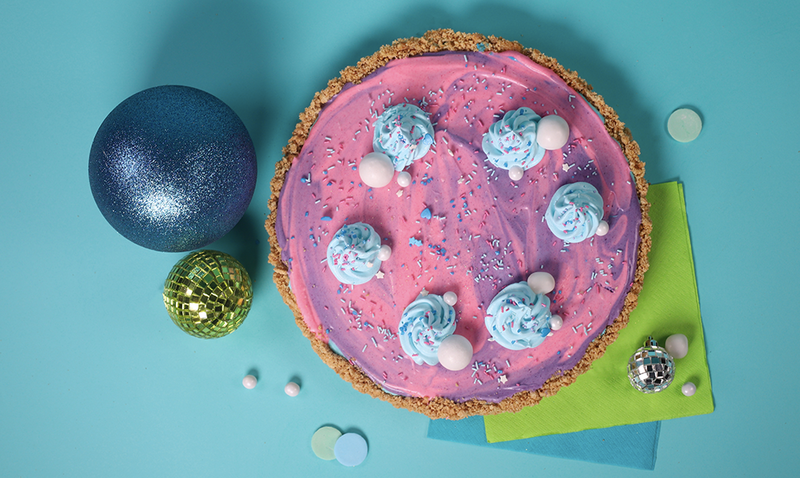 These should all evoke beautiful memories, and if it doesn’t turn out the way you want it to, we say never underestimate the power of frosting to fix. The idea is, even if it becomes a beautiful mess, at least you had fun in the kitchen while you were doing it, and you created these memories with your mom and your sister and stuff like that. That’s key to our whole thing. We’re trying to make it easy, but if it doesn’t turn out, the process was fun. Charity Nebbie: What’s your favorite recipe in the book? Charity Nebbie: And getting your grandmother mad because you also dyed the bathtub at the same time. Luke Stoffel: Yeah, that’s correct. That was Grandma Joyce. She’s on the phone right now. Charity Nebbie: Oh okay. That was you, Joyce? Charity Nebbie: What’s your memory of that day? Luke Stoffel: Yes. I still have pink on the rug downstairs and on the shower curtain, though I’ve tried to get it out, but again, more memories of something that we created versus, “Oh, that’s got pink on it.” I don’t need to remember that it’s got pink on it. I just need to remember what they did. That’s what the fun is, I think. Charity Nebbie: And Luke, you ended the cookbook with your hardest recipe. 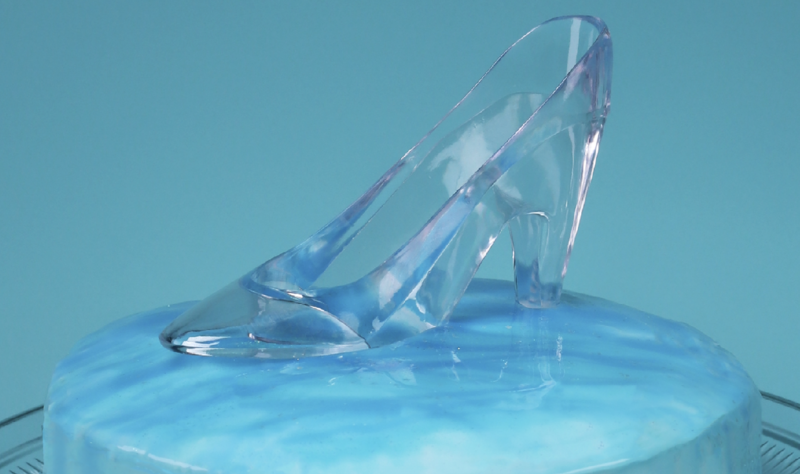 There’s no Easy Bake option for the Glass Slipper Mirror Glaze. Why did you decide to include that? Luke Stoffel: The Mirror Glaze is really about my company called Cinderly. We’ve really developed this company that’s all based around living your life to it’s fullest potential, and having a fairytale as your through line. The Glass Slipper and the Mirror Glaze is a harken back to my company and where we stand, and how we’re making beautiful memories every day. Luke Stoffel: I included it because it’s just so gorgeous that I couldn’t not include it, but this is only the second time I had made that recipe. It was definitely harder than I anticipated doing. The reason we started Cinderly really harkens back to childhood and loving that Cinderella movie, and we even make light of the mouses and how we followed our mother around doing laundry in the story about screaming after her that we’re little Cinderellas and we’re helping her clean the kitchen and mop the floor. Charity Nebbie: When you decided to make this cookbook, it sounds like you were at a crossroads in your life where you weren’t quite sure what the next move was. This isn’t necessarily an answer, this was a great project to work on, but what does the future look like now? Luke Stoffel: I was in between jobs when I started the cookbook, and I just wanted something to do. What happened was I shot the whole thing, designed the whole thing in my apartment in January and February, and then we tried to get a publisher and stuff like that, but it wasn’t happening for us, so I was like, “Well why don’t we just throw this up on Kickstarter and see what happens there, because we have it all produced. We just need to get it printed.” And sure enough, we raised almost $15,000 on Kickstarter just this last month, and now we have enough money to start shipping the books. You can order it now on Amazon, but we’re going to ship September 1st. Luke Stoffel: It’s available everywhere. You can go to unicorncookbook.com and order it right from our website, or you can get it shipped directly from Amazon, so that’s what the future looks like right now. I’m back to work, so I’m working at a big advertising agency in New York City, but I’m just doing that so that we can fund more of the cookbook projects in the future. Charity Nebbie: Well, spreading a little bit of magic and some wonderful memories. Luke Stoffel, thank you so much. Luke Stoffel: Yeah, thank you Charity. Charity Nebbie: Luke Stoffel grew up in Dubuque, Iowa, and he is the author of the Easy Bake Unicorn Cookbook. Joyce Stoffel, thank you so much for being here as well. Joyce Stoffel: Thank you, Charity. Always fun. I love listening to you. Charity Nebbie: Thanks a lot. And Joyce Stoffel, of course, was right by Luke’s side as he learned to bake growing up in Dubuque.